"Kräftiges Rubingranat, violette Reflexe, breitere Randaufhellung. Zart tabakig unterlegtes dunkles Waldbeerkonfit, reife Pflaumen, Nuancen von Mandeln und kandierten Orangenzesten. Komplex, reife Kirschen, gut integrierte Tannine, etwas Nougat, mineralischer Abgang, wird von Flaschenreife profitieren." "Moving to the 2015s, this is a solid vintage for this estate and the wines have more fruit and depth than most. 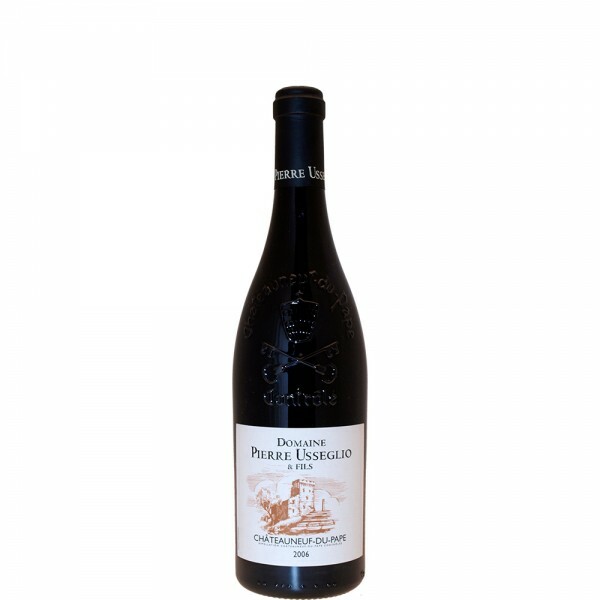 A blend of mostly Grenache that was brought up in tank (10% was in older barrels), the 2015 Chateauneuf-du-Pape offers a ripe, full-bodied, impressively concentrated style to go with lively, fresh notes of dried flowers, exotic spice, incense and both red and black raspberry-like fruit. It's a winner in the vintage and will keep for a decade." "The 2015 Chateauneuf du Pape is mostly Grenache blended with 10% Syrah and 5% each of Mourvedre and Cinsault. It's mostly (not completely) destemmed and aged 80% in concrete and 20% in older barrels. It's a terrific, full-bodied beauty that has ripe, sweet tannin, a great mid-palate and hedonistic notes of roasted herbs, black raspberries, chocolate and incense. It's a no-brainer case purchase." "Healthy dark ruby. Gamey nose that is not unpleasant and is actually quite complex. Very sweet and opulent. Could only be Châteauneuf! Rich and satisfying with enough acidity and tannin for quite a long life. Complete. Long.15% Drink 2023-2035"
"Dark robe; the nose is compact, closely filled with black berry fruit, a sense of prune, has inner strength. It’s not showing variety as yet. The palate surges along a wave of black, crushed fruits, brings out a salty beam and a note of tobacco towards the finish. It has captured the vintage freshness, and releases an implicit power on the second half – a good climate-terroir duo in the glass. The finish is full of content, as found in the best 2015s. From 2019. 2031-34"